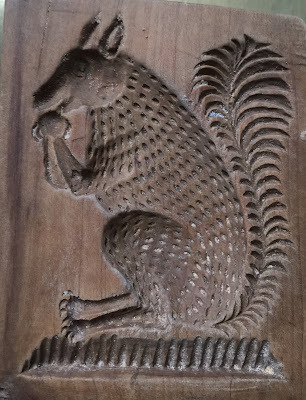 Visitors to my kitchen frequently remark on the large number of antique jelly moulds scattered around the room. I usually explain that just a few of them were actually used for turning out jellies and even some of those had other uses. For instance, on the kitchen dresser in the photo above there are moulds for making puddings, ice compotes, nougat compotes, nougat cornucopias, chocolate peacocks, raised pies, sugar baskets, cakes and ice cream bombes. There are also some jelly moulds, but they are in a minority. 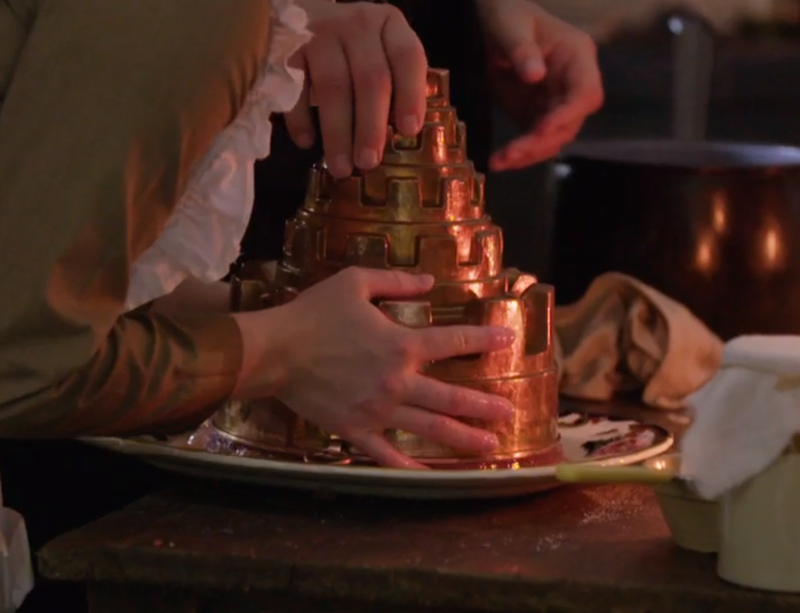 "All that glitters is not gold" and all that is shiny copper is not necessarily a jelly mould. 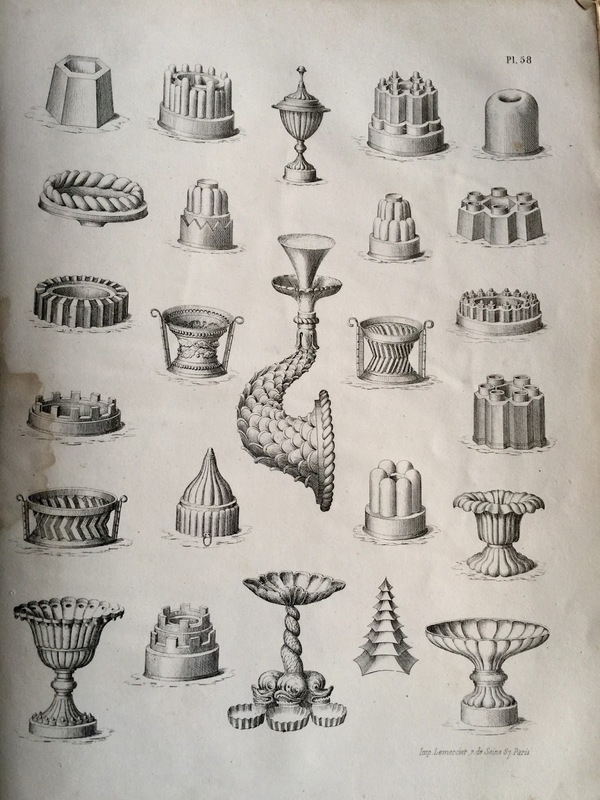 This advertisement for culinary moulds produced by the Paris firm Trottier in the 1860s testifies to the remarkable variety of moulds available for kitchen and confectionery use at this period. It is actually a size thing. 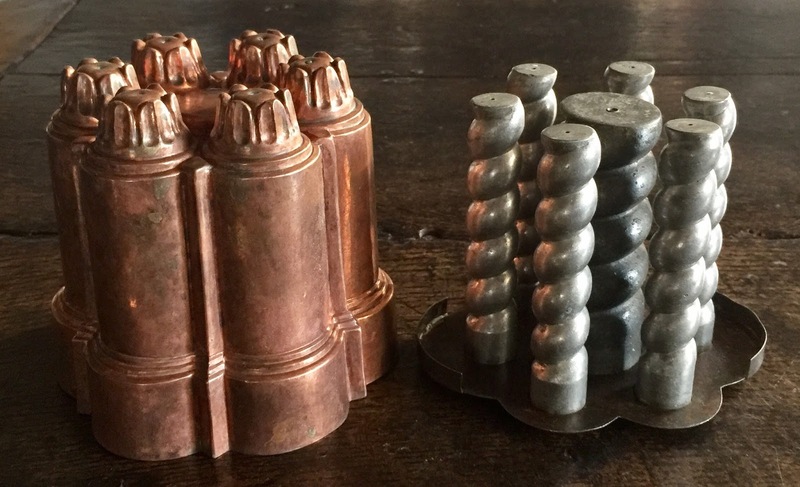 Nineteenth century copper moulds for jelly are rarely over five inches high. The highest they were ever made was six and a half inches and that was pushing it a bit. This is for a very simple reason. Any taller than this and the jelly will split and collapse, especially if of a light set. Moulds higher than this were designed for making other dishes, such as cakes, boiled puddings etc. Of course it is possible to make taller jellies, but an inordinate amount of gelling agent has to be used, making them rubbery and unpleasant to eat. 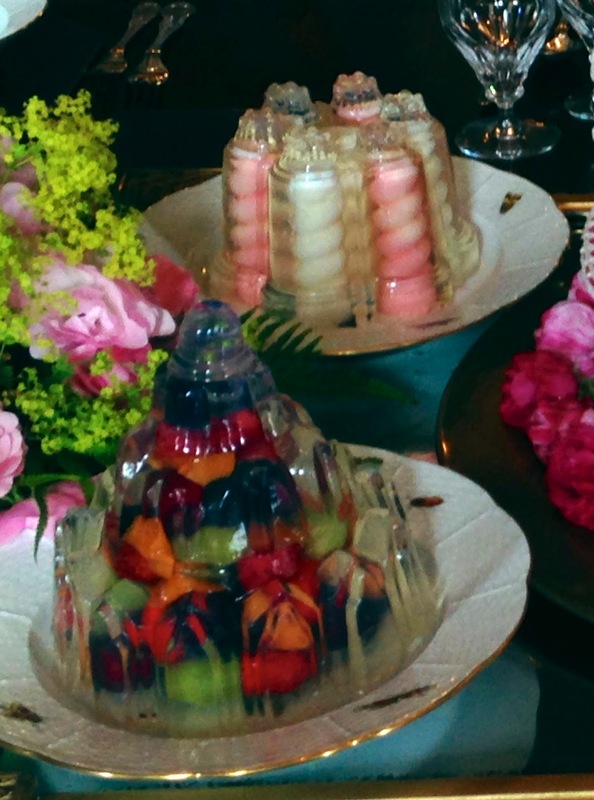 More stable jellies could be made in the taller moulds when fruit (or even profiteroles) were enclosed in the gel. These additions strengthened the jelly by creating what I guess could be called an edible, internal armature. 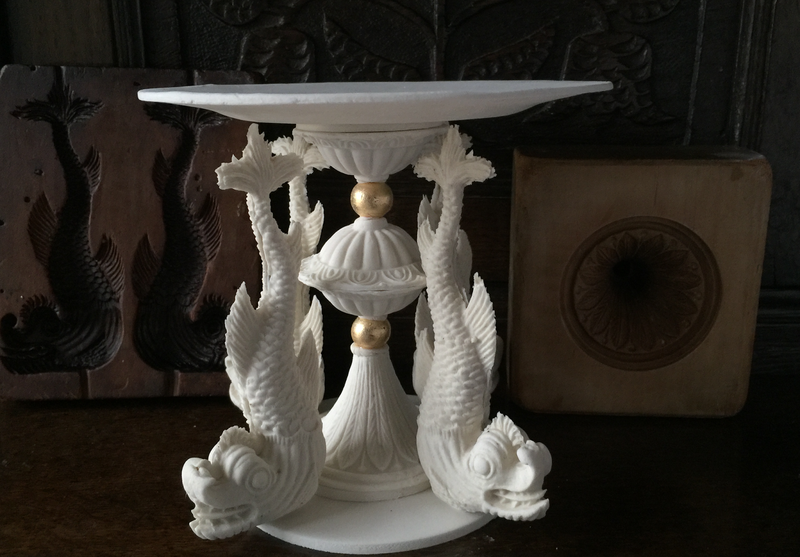 Most moulds over five and a half inches were probably designed for this particular purpose. 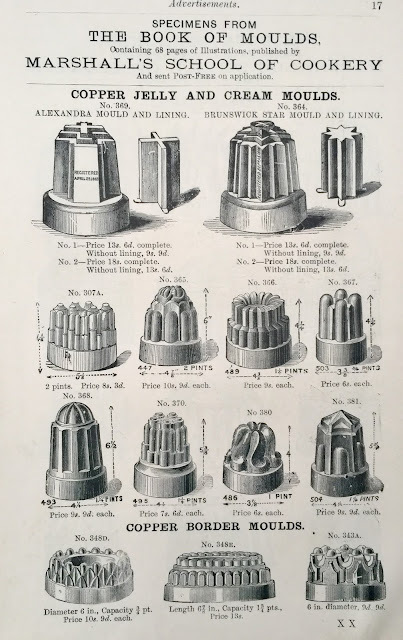 This late nineteenth century advertisement clearly illustrates the range of mould heights for jelly moulds. Those in the six and a half inch high category were probably designed for being filled with fruit to make the finished jelly more stable. 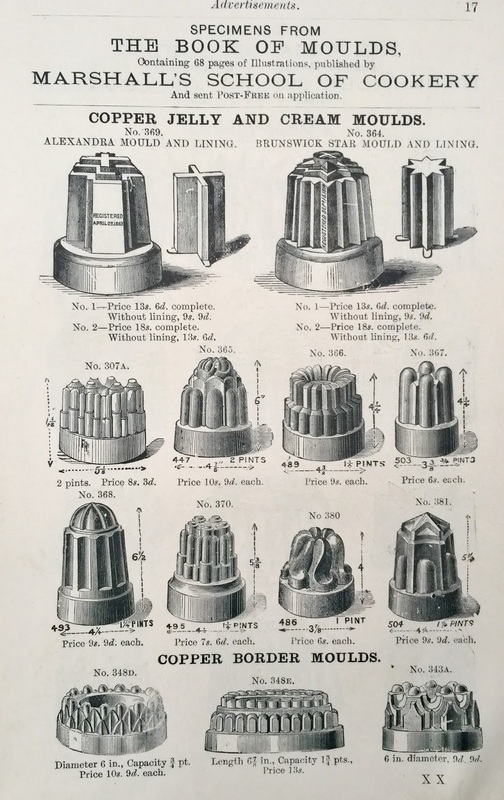 One specialist six-inch tall mould for making a jelly with a fruit macedoine core came provided with a separate internal liner in the form of a dome. This created a cavity within a cortex of transparent jelly, which would be filled with a macedoine of fruit. A jelly made in the outer mould alone is terribly unstable. It usually splits and dramatically collapses within a few seconds. Some taller moulds were designed to hold other specialist liners, such as the taller versions of the Belgrave, Alexandria and Brunswick Star. When set, these all had internal blancmange 'armatures' which gave them a degree of stability and helped them hold together. 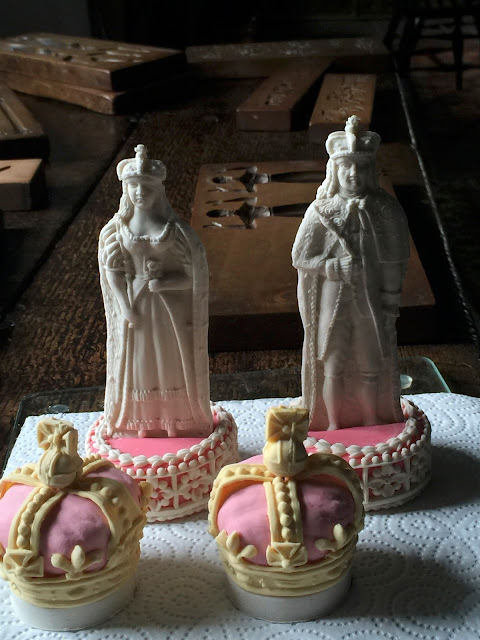 A lesson in size - the small four inch tall mould on the right is a typical size for a jelly mould. The second mould from the right (nine inches high) is not a jelly mould, but a cake mould used for turning out Savoy or Baba cakes. 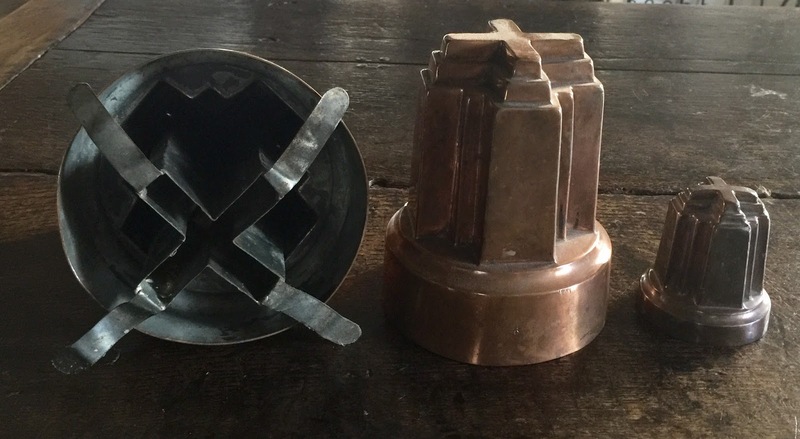 The two six inch high moulds on the left are both macedoine moulds with an inner liner to create a cavity, which can be filled with fruit. Perhaps the most spectacular of all Victorian jellies. 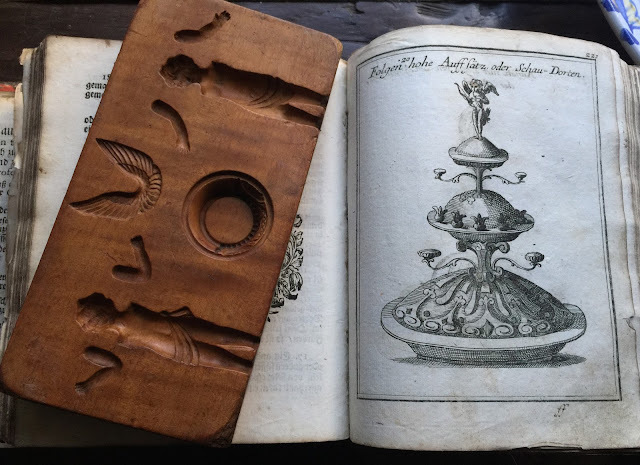 The Macededoine Jelly in the foreground was made with one of the moulds illustrated in the previous photograph. 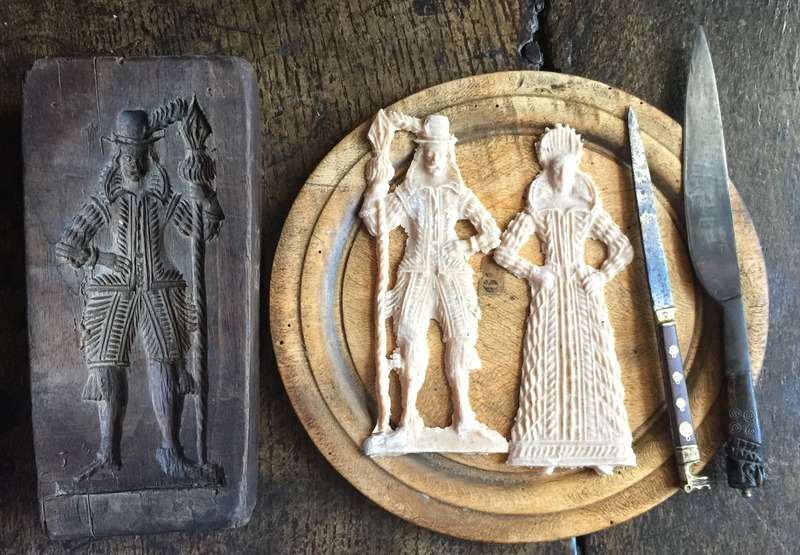 While the Belgrave Jelly behind it was made with the mould below. These internal structures lent a stability to the jelly. Mould and liner for the mysterious Belgrave Jelly illustrated above. 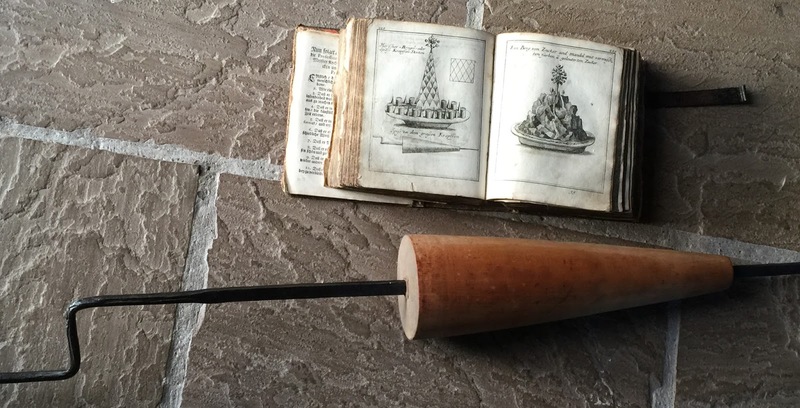 The famous Alexandria Cross mould as illustrated in the Marshall advertisement above was made in three sizes - six and a half inches, four and a half inches and three inches. 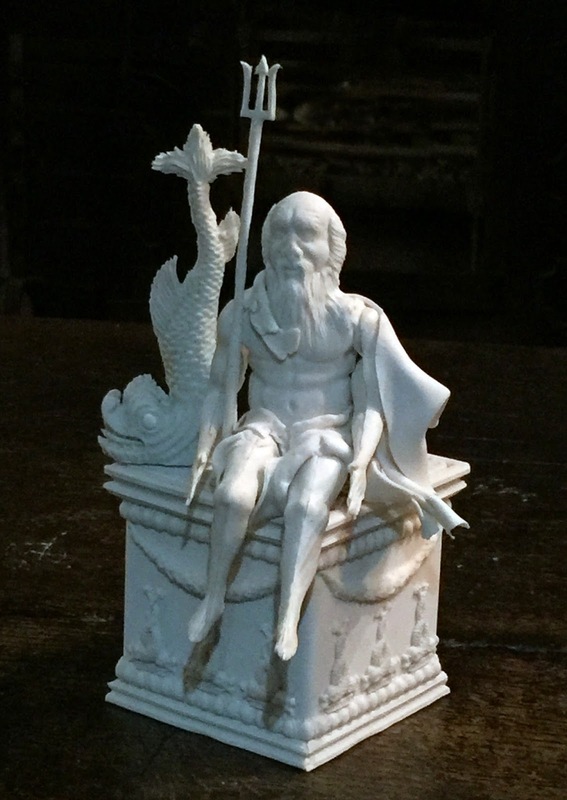 The mould on its side with liner inside is the tall six and a half inch version. At this marginal height it takes a great deal of skill to make it with a decent light jelly set so that it is edible and holds together on the plate. The little three inch Alexandria Cross is extremely rare. 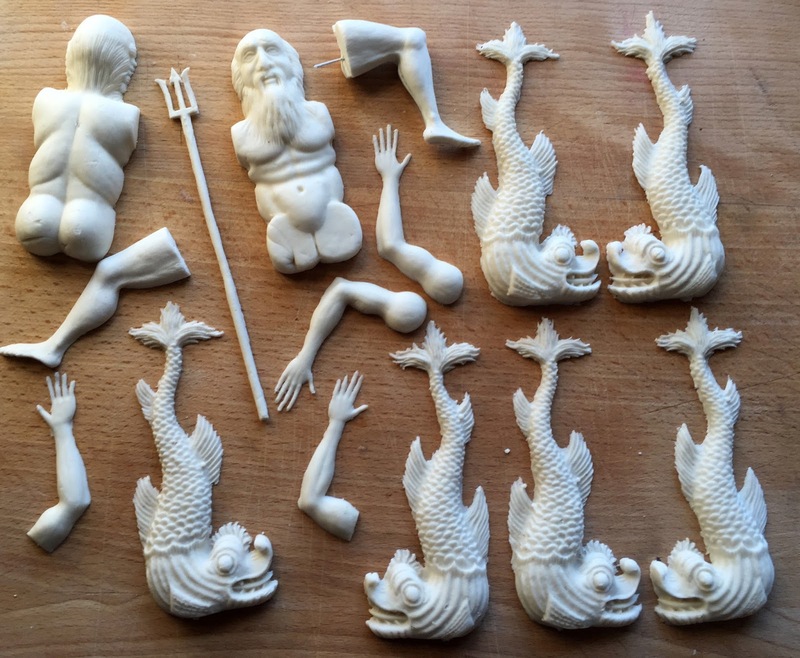 Some of the taller moulds were designed with other purposes in mind - not just for jellies. For instance, some savoury dishes, like the pain de gibier in the image below, were strong enough to be de-moulded without collapsing, as they were based on a firm and quite solid purée of meat held together with isinglass. 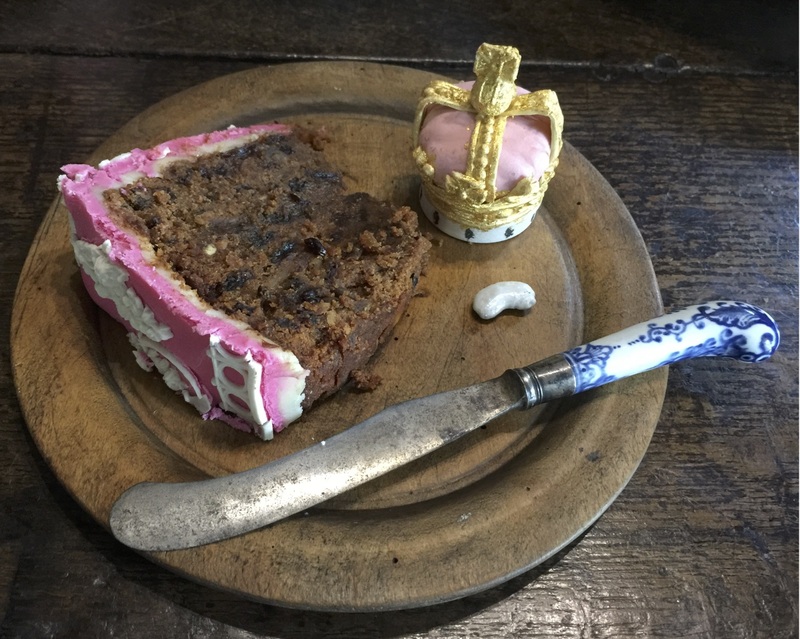 Because of their solid consistency dishes of this kind were more difficult to get out of the mould than a much more pliant jelly, but a skilled cook of the nineteenth century would have had few problems doing this. 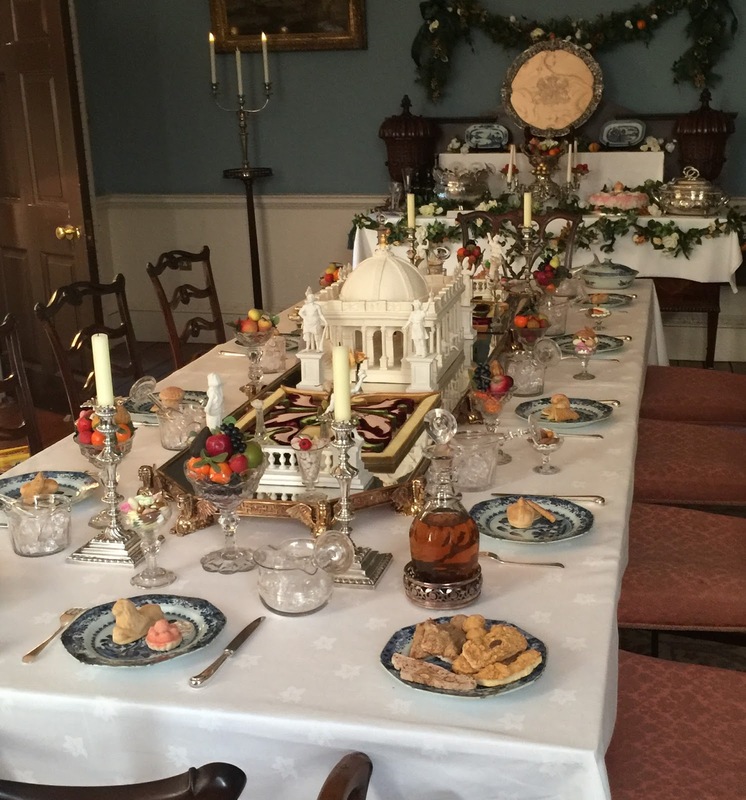 A recreation of a Waterloo banquet from 1839, which I produced for the 200th anniversary of the Battle of Waterloo at Apsley House in 2015. The magnificent Portuguese service is in the middle of the table. 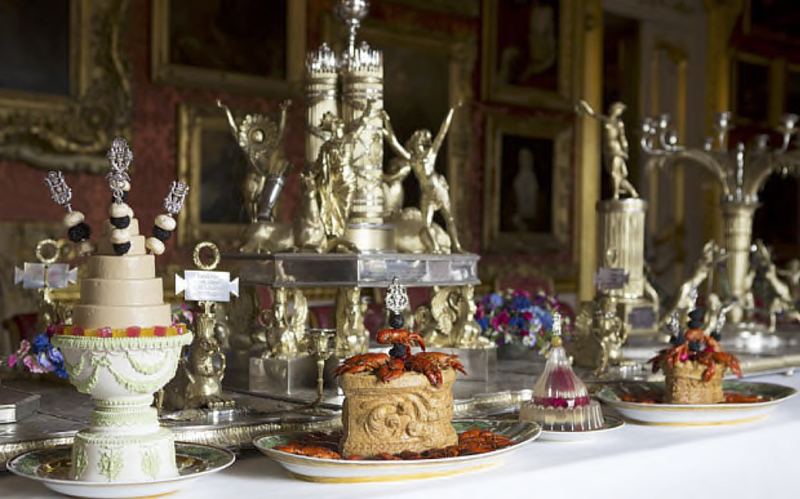 My food is on serving dishes gifted to the Duke of Wellington by the Prussian King Friedrich Wilhelm III. The pain de gibier à la gelée made from a Câreme recipe on the far left, sits on an ornamental wax socle and is garnished with hatalet skewers of truffles and turned mushrooms. All this goes to show that nineteenth century moulds were designed for a complex and flexible cuisine, which has been mainly forgotten. Modern chefs are not taught how to use what is now considered to be obsolete equipment. 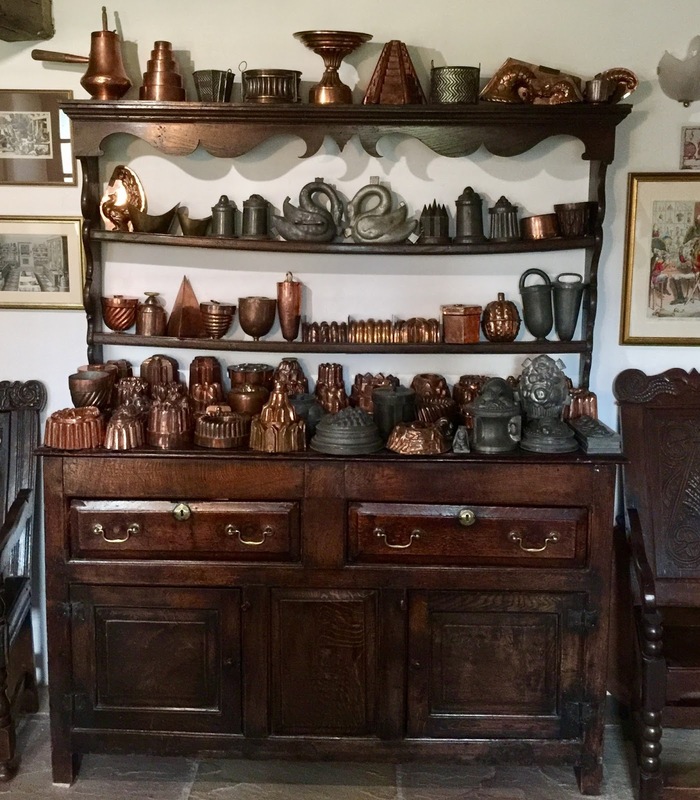 The English TV production company Wall to Wall, who specialise in living history programmes, recently featured a very large copper mould in two different programmes, with predictably disastrous results. 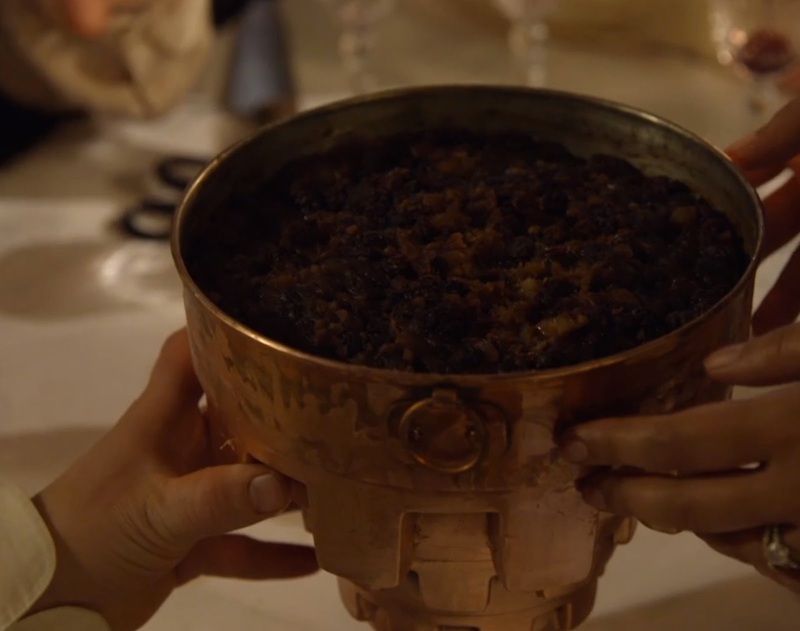 In one of the programmes, The Victorian Bakers at Christmas, which I have already mentioned in a previous article, the mould was used to boil a plum pudding. I could tell when I watched the mould being filled with pudding mixture that this was just not going to work. Not because the mould was too large in this case, but it was not thoroughly greased and the mixture was too slack. I took some screen shots to show you what happened. The pudding refuses to come out in one piece. 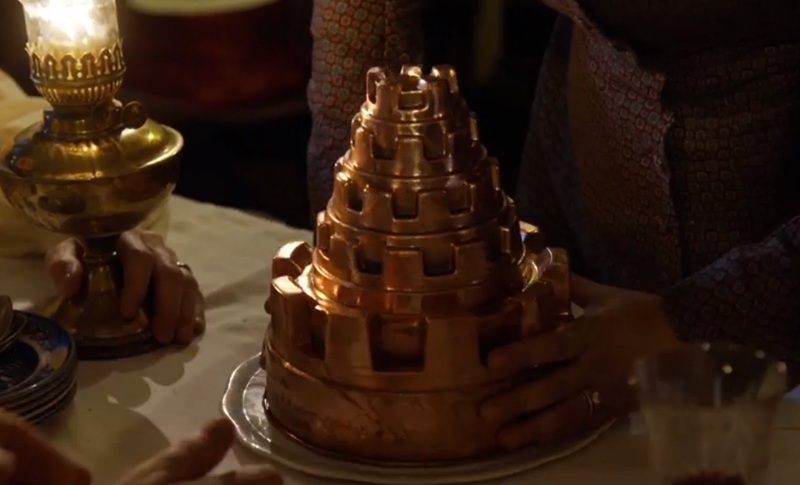 It is likely that the top of the pudding either burnt to the mould, or the mould was just not greased thoroughly. Victorian cooks would have chosen a simpler mould. The very same mould turned up a few weeks later in Wall to Wall's BBC production Further Back in Time for Dinner presented by Giles Coren and the excellent food historian Polly Russell from the British Library. Debbie, the hard-pressed chef who made a valiant job of cooking food for the family was provided with the same totally inappropriate mould for turning out a jelly. Again in the screen shots below you can see the result - a predictable failure and not the fault of the cook. If the chef had been given a sensible-sized mould designed for jelly, I am sure she would have produced an attractive dish. But I guess these failures are perceived by the producers as making better television. I personally think it is misguided and unfair to the cook. 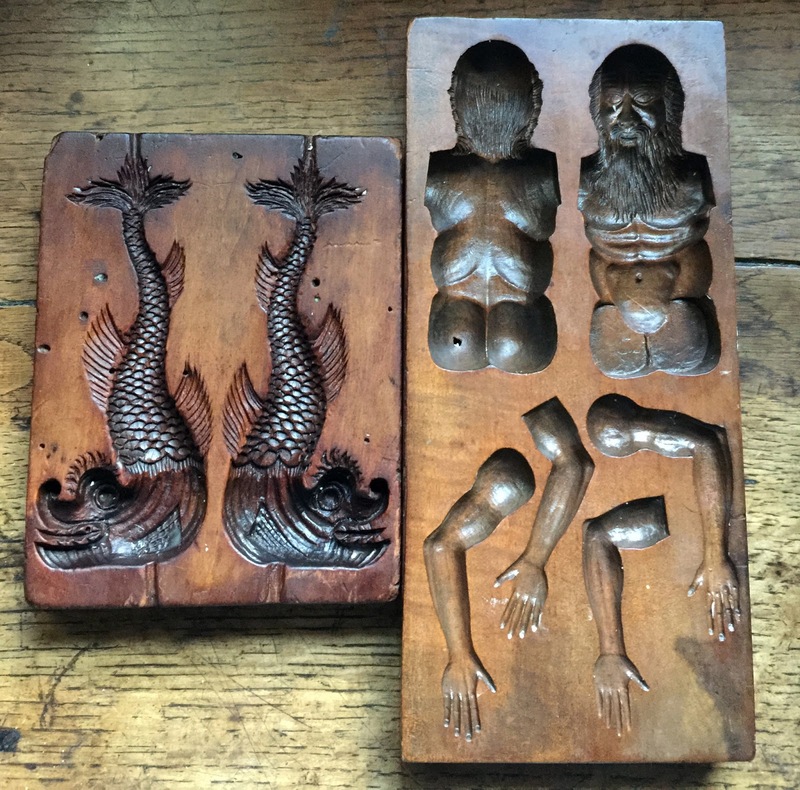 Perhaps we will see the 'Jonah mould' again soon - I gather Wall to Wall are making a programme on the history of confectionery - third time lucky! Oh no! It is that same Jonah mould again - you can gauge its huge size - being used in another Wall to Wall production for BBC- Back in Time for Dinner. This time to turn out a jelly. Not wise! The jelly fails because of the totally inappropriate choice of mould. François Marin's intensely flavoured 'restaurant', a restorative quintessence which gave its name to the early Parisian eating houses of the same name. Photo: Miriam White. 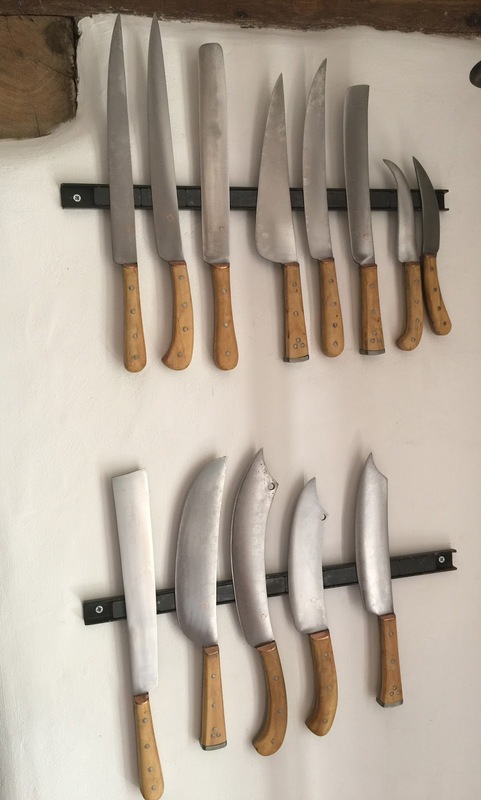 Earlier this year I presented an event at the School of Artisan Food at Welbeck Abbey, Britain's leading culinary institution, which you should check out as soon as you have finished reading this. 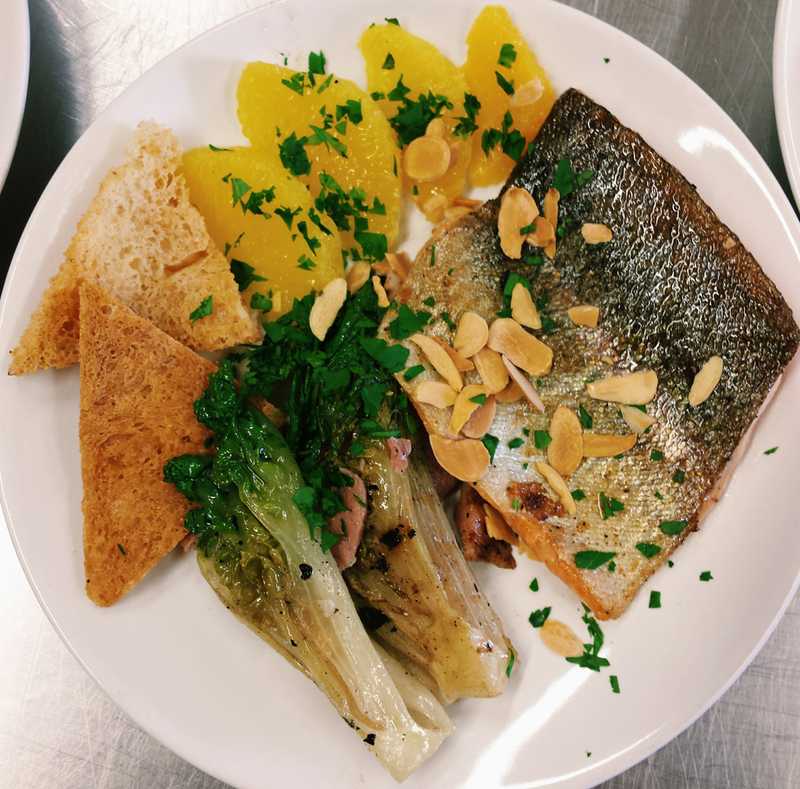 We offered our guests a range of dishes of the kind that were likely to have been experienced by English travellers who made their way to the cultural centres of Italy on the Grand Tour. A number of those who enjoyed this event have been in touch asking for more details about the food we served, so I thought it would be helpful to write this post with some recipe translations appended at the end. This reminds me of those modern tourists who are relieved to find fish and chip shops in Benidorm! However, most had to survive on local food. No doubt many did experience excellent dishes, particularly in the great cities. The selection of European delicacies we prepared for our Grand Tour feast was aimed at the more adventurous time traveller - certainly not those who hope to find supplies of boiled mutton and bread pudding at their destination! This was our menu. 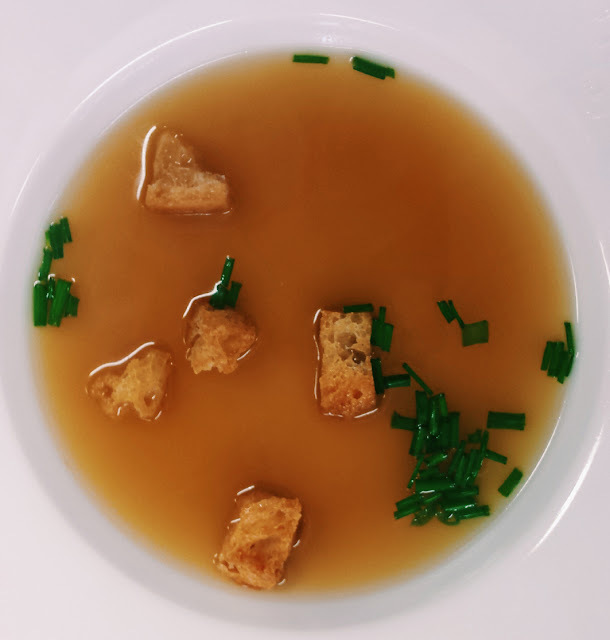 This nutritious consommé or bouillon designed to ‘restore’ the constitution, or weakened spirit, called, ‘quintessence or restaurant’ was served in specialised eating-houses in Paris during the eighteenth century. The soup gave its name to these establishments, thus ‘restaurants’. The earliest restaurants established before the French Revolution probably offered very few dishes other than restorative broths of this kind. They were sometimes referred to as 'houses of health'. Later ones offered much more extensive bills of fare. Restaurant must have been encountered by many British Grand Tour visitors passing through, or visiting Paris. Like bouillon it also formed the basis for many other soups and sauces. The recipe we used was that of François Marin, Les Dons de Comus. (Paris: 1739). I have appended a full translation of his directions in the recipe section at the end of this post. The title page and frontispiece of my copy of the first edition of Marin's important little book. After leaving England, most travellers visited Paris and would have encountered these new establishments. Curiously, one of the first which offered a full menu, rather than just a bowl of 'restaurant'. was La Taverne Anglaise founded by Antoine Beauvilliers, who opened his restaurant in 1786 in the Palais Royale. The name was probably an attempt to attract English travellers. After the Revolution, he moved to the Rue de Richilieu and named his new establishment La Grande Taverne de Londres in honour of the celebrated London Tavern in Bishopsgate. He later (probably under some pressure from the new regime) re-christened his business, La Grande Taverne de la République. His various establishments were restaurants in the modern sense, with truly gargantuan menus. The English traveller Francis Blagdon in Paris as it Was and As it Is (London: 1805) - my all time favourite guide to Paris - gives a detailed description of Beauvilliers’ establishment, including a full bill of fare. Blagdon tells us, 'Good heaven! the bill of fare is a printed sheet of double folio, of the size of an English newspaper. It will require half an hour at least to con over this important catalogue'. La Grande Taverne was certainly not a simple soup kitchen offering comforting bowls of restaurant to those of a delicate constitution. Blagdon quotes the entire menu and it lists thirteen different soups. I will reproduce the full menu in a later post. Marin's 1769 recipe for restaurant - there is a translation of his full text towards the end of this post. 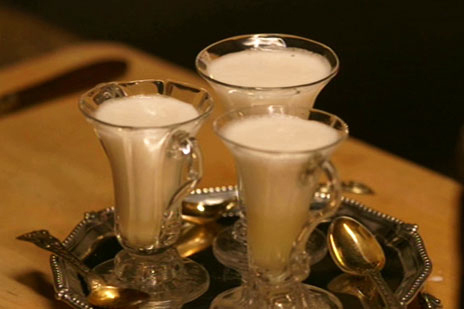 Punch romaine in some eighteenth century syllabub glasses on a silver waiter. The silver gilt spoon on the left is from a set made for the Prince Regent by Rundell, Bridge and Rundell. 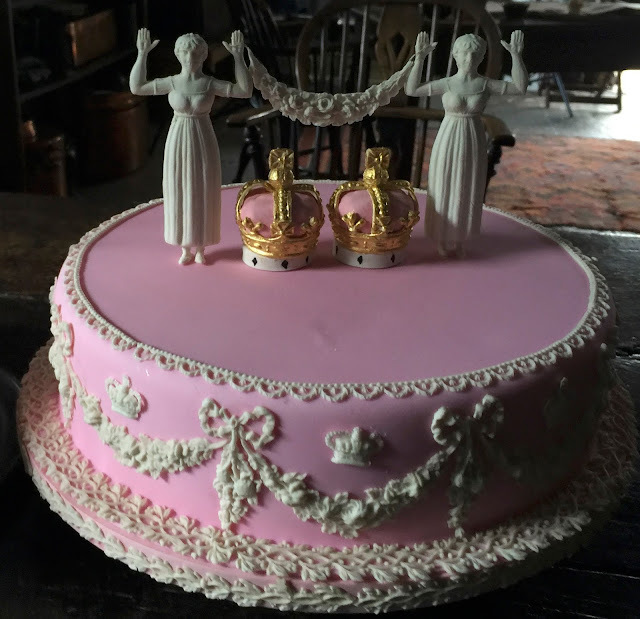 I made this punch romaine for the BBC documentary Pride and Prejudice, Having a Ball. Popular in Rome, Florence and Venice with travellers before Napoleon invaded the Italian peninsula and disrupted the flow of tourists, punch romaine travelled to Paris and became the most fashionable refreshment of the Empire period. It does not appear to have come to England until after Empress Josephine’s death in 1814 when a chef called Molas started work for Prince Lieven at the Russian embassy in London. 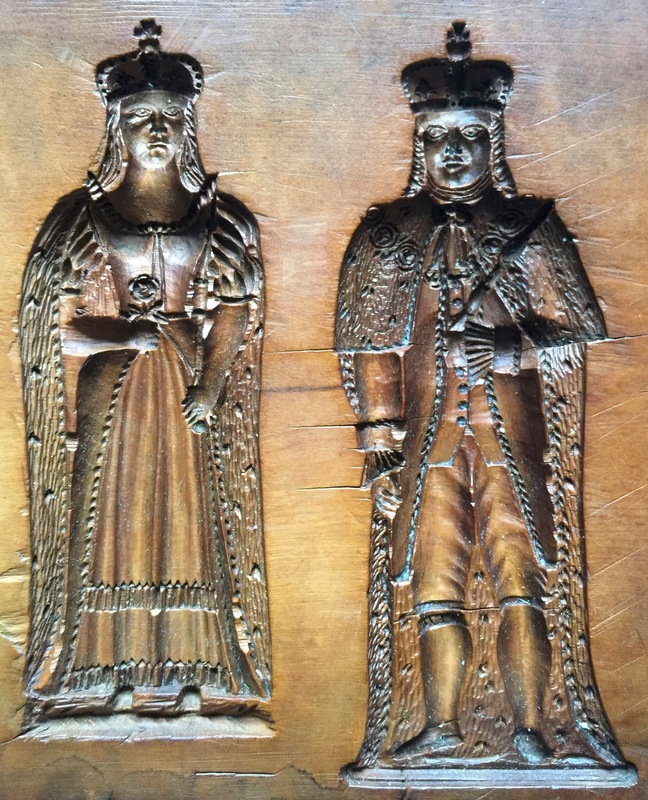 The Italian confectioner Giugliamo Jarrin, who knew Molas, seems to have been the first to publish the secret recipe in an appendix in a later edition of his Italian Confectioner published in London in 1820. Altmiras's Plato de truchas, y yervas (trout with leafy vegetables). Photo: Miriam White. 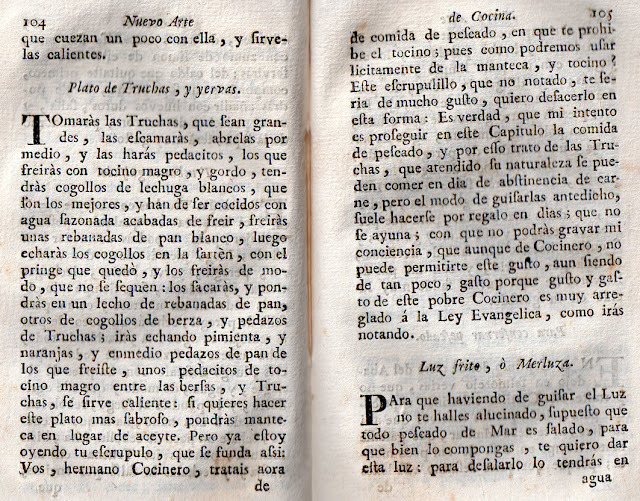 Juan Altamiras, the author of this recipe, was the nome de plume of a Franciscan monk whose real name was Friar Raimundo Gómez. He is without doubt my favourite Spanish cookery writer. 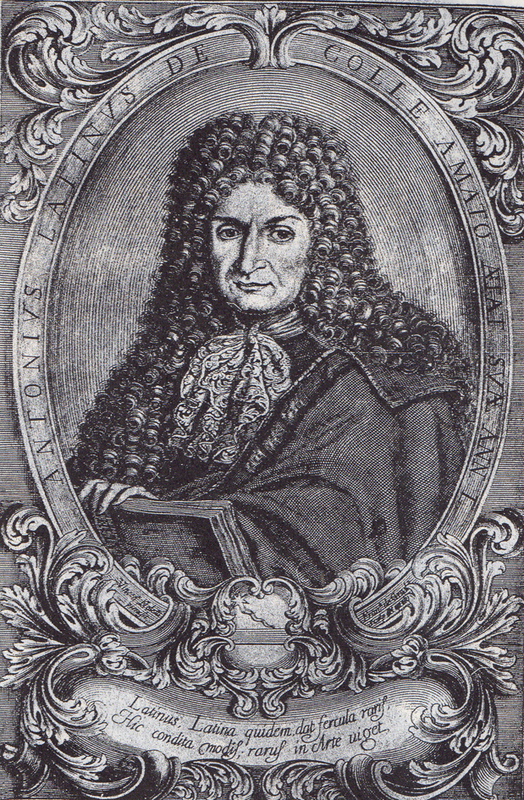 Gomez was born at the end of the seventeenth century and died in 1769. He ran the kitchens of a large religious school in the city of Zaragoza in Aragon in Northern Spain. His recipes are often sprinkled with wit and dry humor, as in these idiosyncratic instructions for cooking trout with bacon and meat dripping. 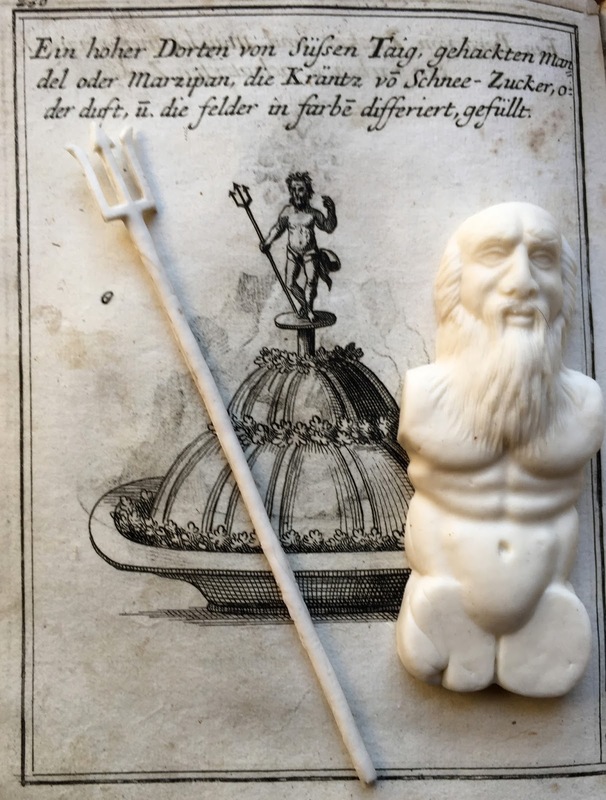 He anticipates that some of his more pious readers would see this cooking method as being against the strict dietary regulations of the Catholic Church, so he makes a little joke about it. Of course the dish is designed for a day when meat was allowed and the bacon is an excellent addition. Many British protestant travellers were annoyed by the Catholic tradition of strictly adhering to fish days. They could not even get eggs to eat at breakfast! 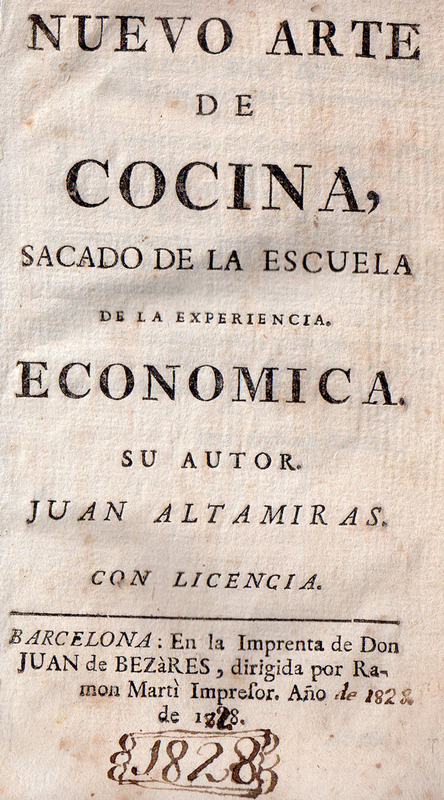 Altamiras’s book Nuevo arte de cocina was published in Madrid in 1745. The monks for whom he cooked must have eaten much better than the many Englishmen who dined out in Madrid. They constantly complained about everything they were served except the superb fruit. 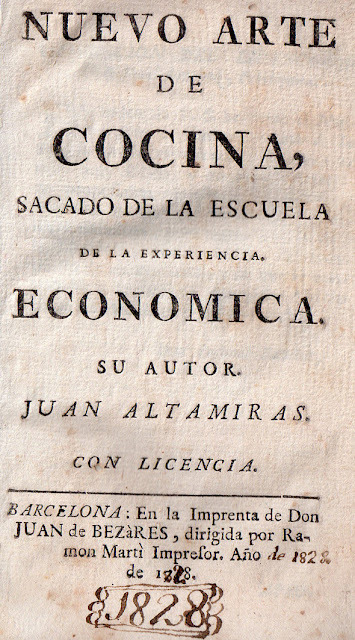 The recipes in Altamiras's wonderful little collection are fairly simple and represent the everyday cookery of his region of Aragon. 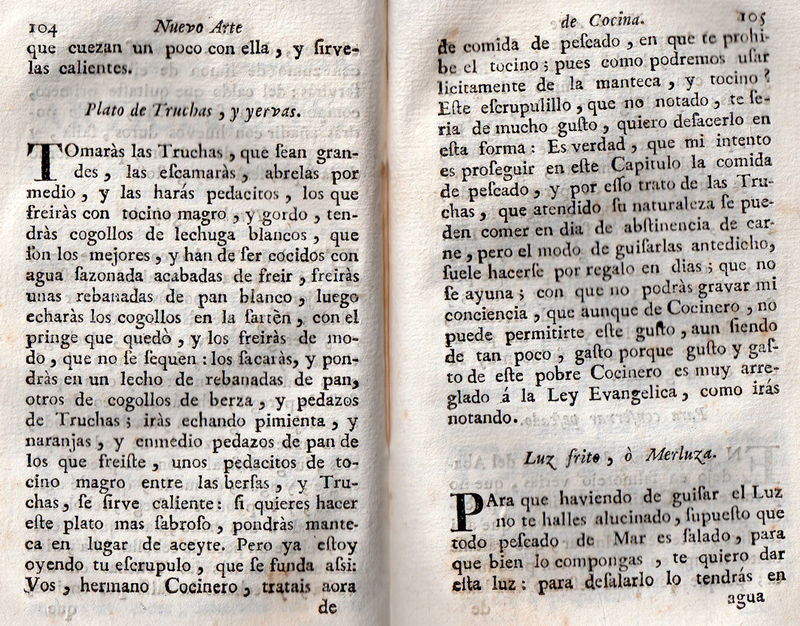 My copy of the 1758 edition of Altamiras's Nuovo Arte de Cocina. A previous owner has written over the printed date in the early nineteenth century with the probable year when he acquired the book. I have appended a translation of this in the recipe section at the end of the post. Freshly caught trout turn up in countless accounts of alfresco meals eaten by British travellers at various European riverside locations. While on his Grand Tour, James Hume praised the massive trout he enjoyed at Pont l’Eveque in 1714. Fresh fish repasts like this were rarely complained about. Suckling pig stuffed with macaroni cooked in stock with cheese, pepper, chopped sausages, prosciutto and served with a ham coulis from Vincenzo Corrado, Il Cuoco Galante (Naples: 1786). Photo: Miriam White. 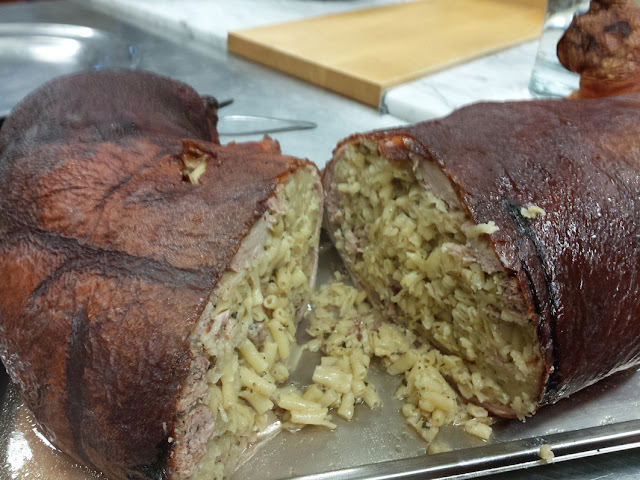 Corrado's recipe for Porchetta Ripieno di Maccheroni. 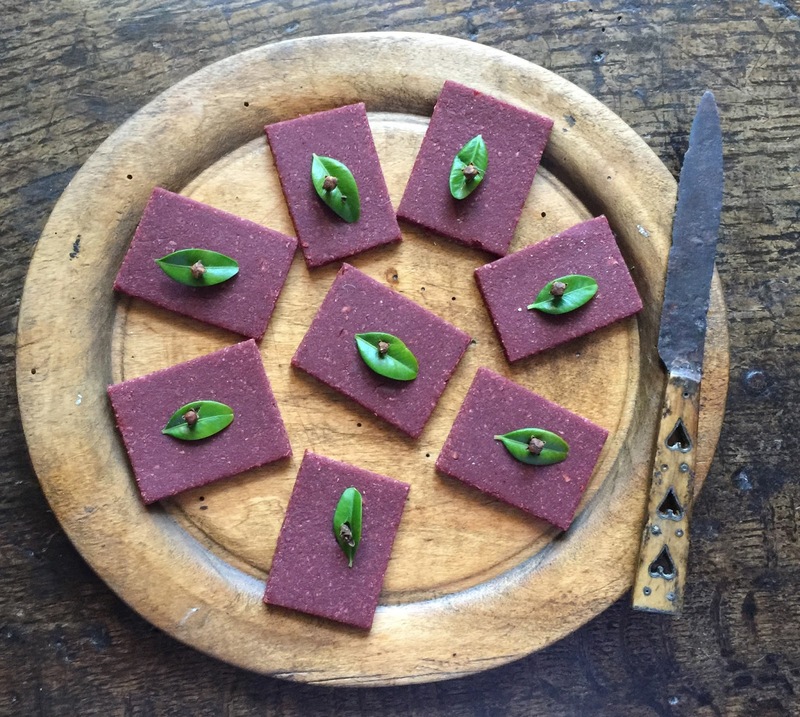 There is an English translation of this in the recipe section at the end of this post. The final destination for most British travellers on the Grand Tour was the city of Naples, famous for its mangiamaccharoni, cuccagna festivals and street ice cream vendors. The surrounding countryside provided the city with superb vegetables and fruit. 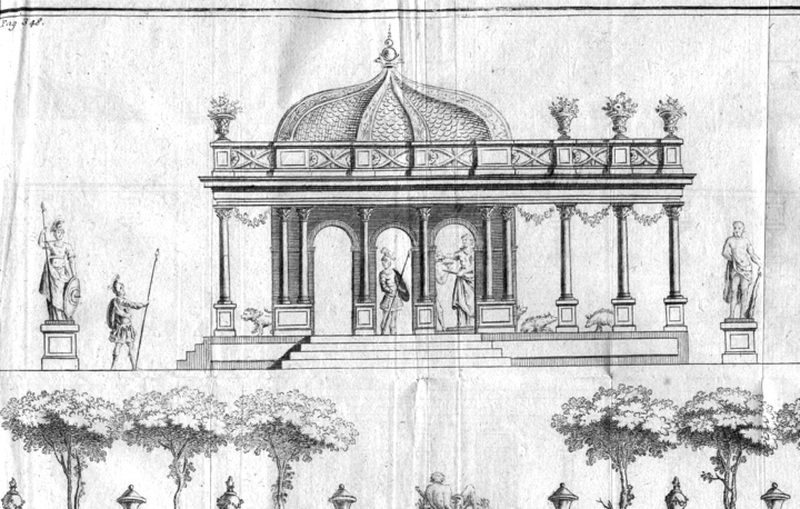 In fact Neopolitans were noted for their enormous enthusiasm for greenery. Now we think of salsa di pomodoro as the iconic dish of Naples, but the tomato was not commonly eaten with pasta until the late 19th century. 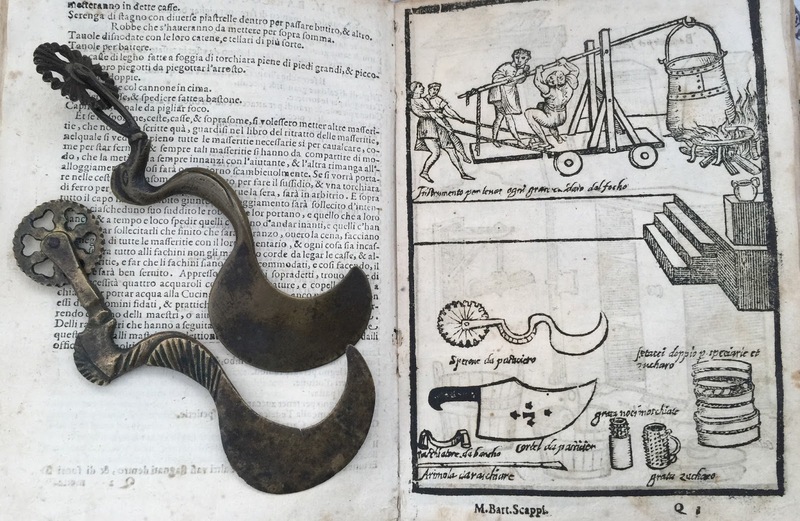 Travellers to Naples were more impressed by some of the local meat and game dishes, a few of which featured pasta used in some unusual ways. 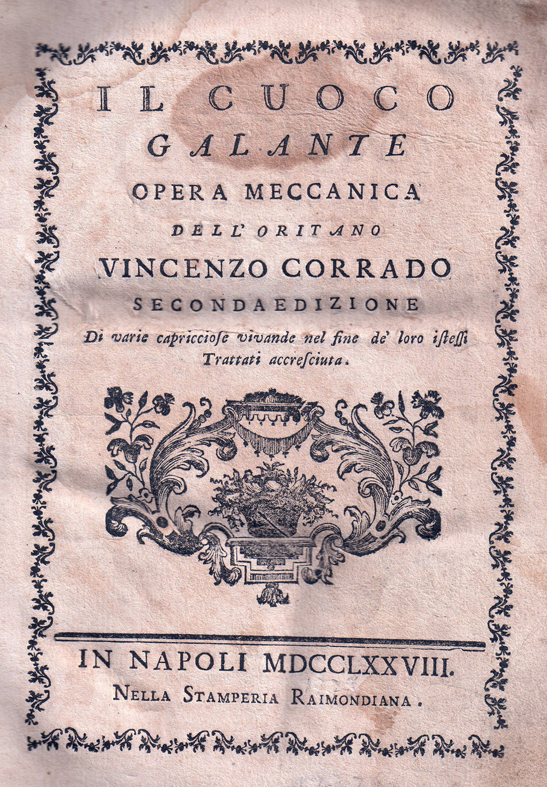 The title page of my rather well-used copy of the second edition of Corrado's Il Cuoco galante. Suckling pig has been popular in Italy since Antiquity. To be a true suckling pig, the animal must still be feeding on its mother’s milk. The 1st century AD Roman cookery writer Apicius gave seventeen different recipes for preparing this most delicate of meats. In his book Il cuoco galante (Naples: 1776). 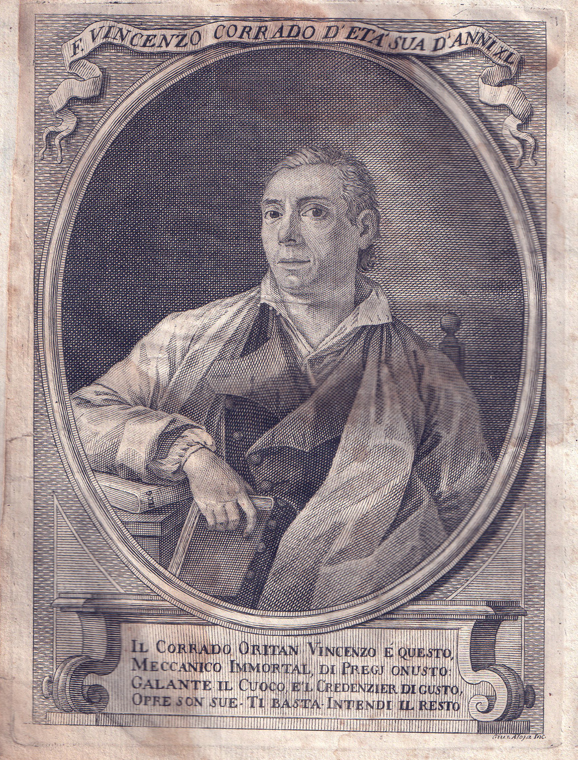 Dominican monk and Neapolitan cookery author, Vincenzo Corrado, also devotes a whole chapter to the animal, which he initiates by quoting a recipe from Apicius, in which the suckling pig is boiled in stock and served with a sauce flavored with wine, honey, rue, long pepper, and coriander. The good monk obviously tried this ancient Roman recipe, because he declares it to be “an excellent dish”. Corrado’s other recipes include a French inspired suckling pig fricassée, but are mainly from the local Neapolitan repertoire. 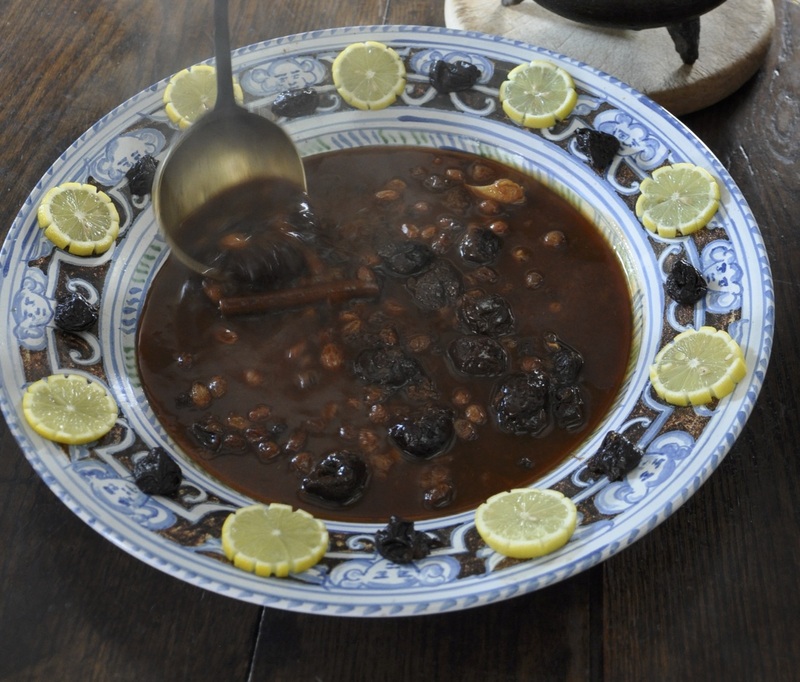 In one distinctive dish, the pig is cooked over a charcoal stove and served with a sauce of quinces, cinnamon and pistachios. In another, the suckling pig is stuffed with pieces of eel, fennel seeds, garlic and bay leaves. However, nothing could be more quintessentially Neapolitan than the recipe above, in which the belly of the pig is filled with pasta, sausage and cheese. Colí di prosciuto was made by cooking small pieces of ham in brodo and reducing it after the ham had been removed. It demonstrates that the all pervading French practice of heightening the flavour of dishes with coulis, had intruded into native Neapolitan cookery. The man himself. Corrado is one of my all-time food heroes and I avidly collect his books. When I get time, I will devote an entire post to him. This incredible baroque fish salad is from Antonio Latini's Lo Scalco Moderna (Naples: 1682 and 1684). From the feedback we received after the event it seems to have been the most popular dish. Photo: Miriam White. 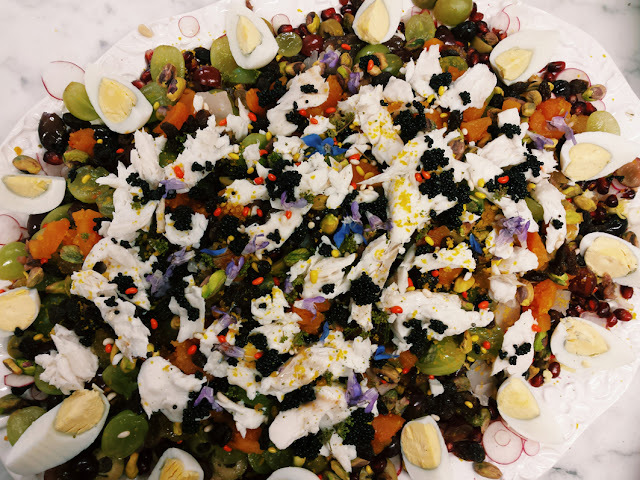 This is a Southern ancestor of the well-known modern Tuscan bread salad. I have already touched on it in another post - Salads to reach round the World. The biscottini, or ‘little biscuits’ in the recipe are ship’s biscuit, a hard dry rusk made by cutting bread into slices and putting it in the oven a second time to dry. Friselle and taralli are hard ring-shaped breads, which are both still made in Southern Italy. Like biscottini they were usually softened in water. The radishes of this period were white and long-rooted rather than the round, bright red ones popular today. 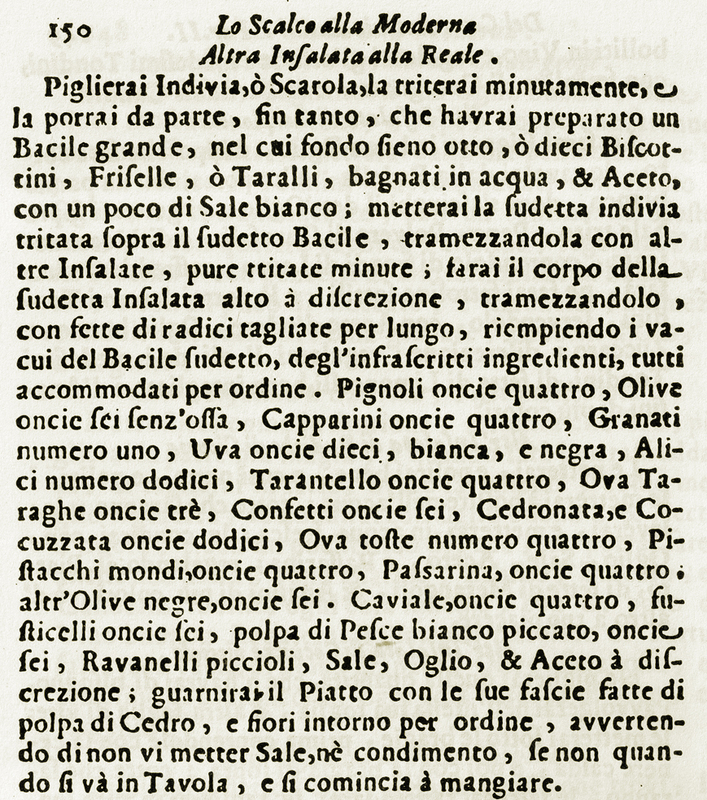 Tarantello was a common ingredient in Italian recipes of the early modern period. It was made by salting part of the belly of young tuna fish. The city of Taranto was the centre of production, but this ancient delicacy is no longer made in modern Italy. I make my own. Botarga, however, is still readily available; the most prized being made by salting tuna roes. Citrons or cedri were commonly grown in Southern Italy and both the preserved peel and fresh flowers were popular ingredients in both sweet and savoury dishes. 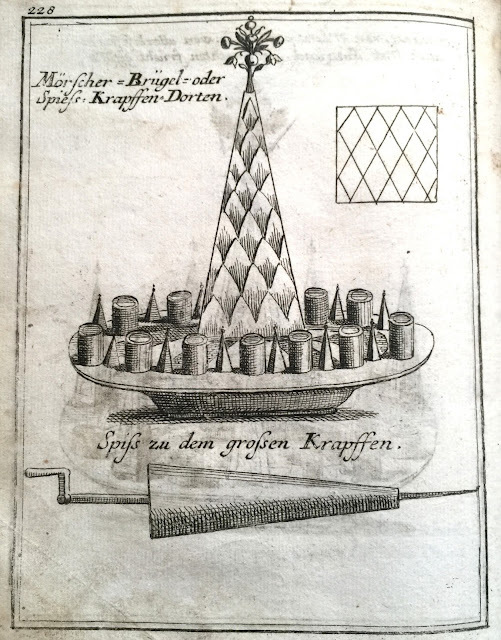 Sugared comfits were a common garnish for dishes of this kind – those of anise or fennel being the most popular. Latini's original recipe. I have included a translation at the end of the post in the recipe section. The author of this salad, Antonio Latini, was the scalco (house steward) to the Spanish regent of Naples. 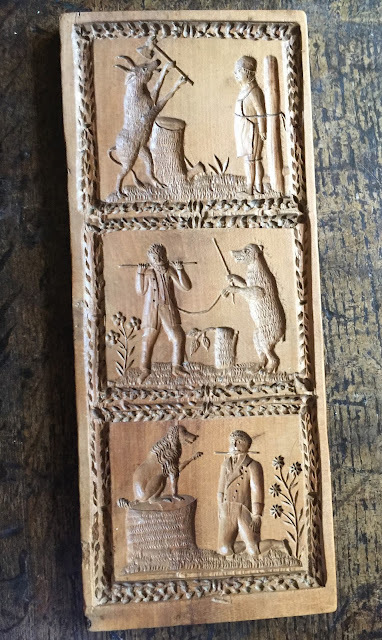 His two volume book is a remarkable collection, not only of recipes, but also of menus and carving instructions. 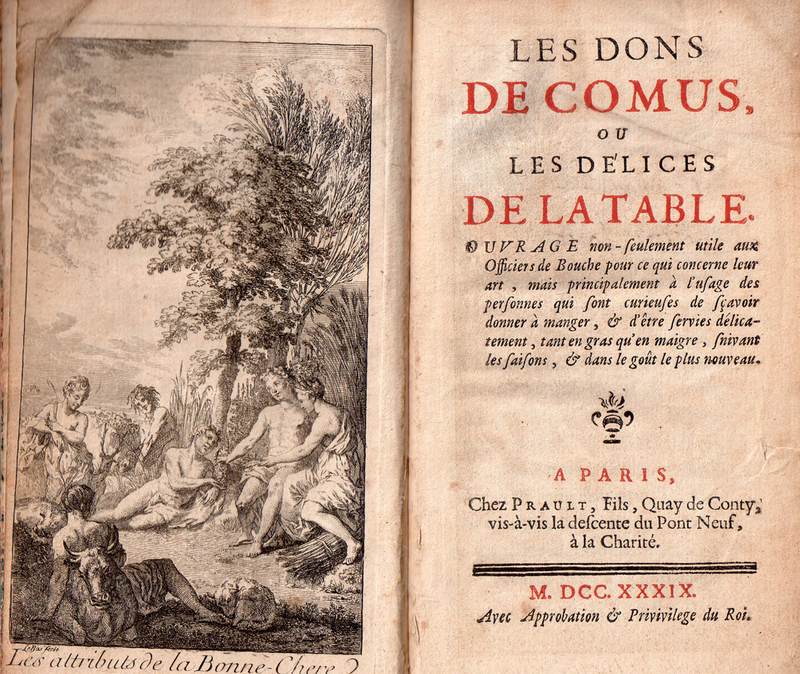 It is one of the most beautiful of all baroque books on food and dining. 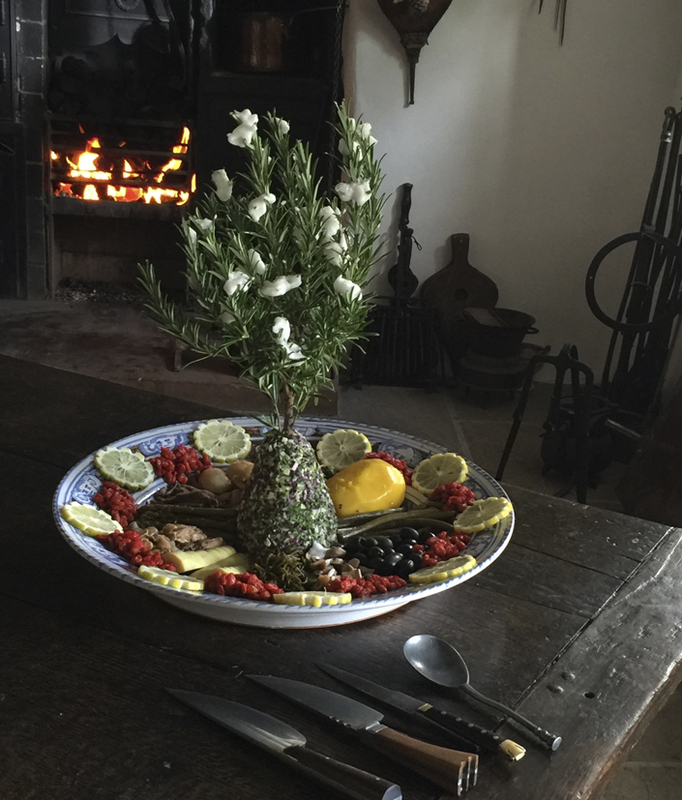 Italian and Spanish Royal Salads were the inspiration behind the English Grand Salads of this period, like this winter salad of preserves and pickles with its standard of rosemary flecked with whipped egg white to represent snow. 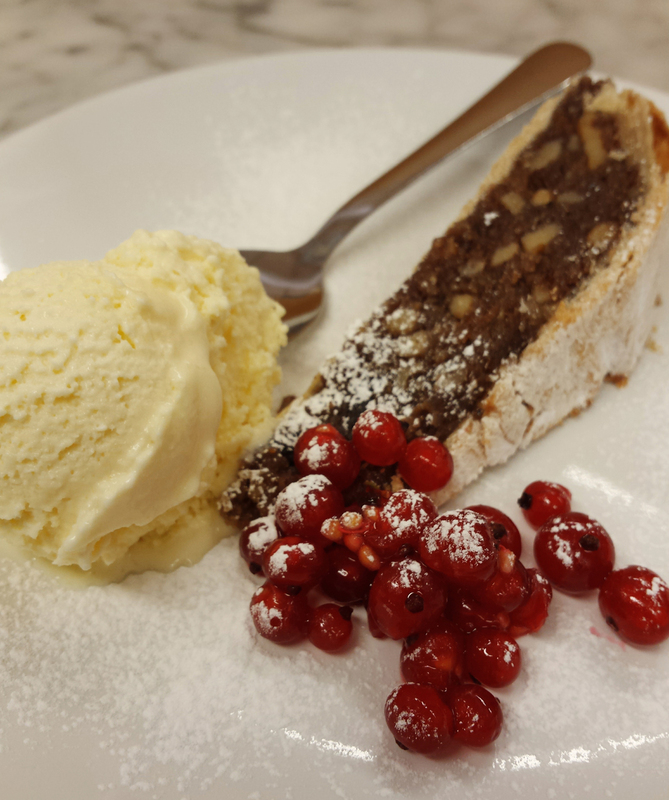 Two continental delicacies that could have been enjoyed in London confectionery shops on the grand tourist's return - spongata cake and parmesan ice cream. Photo: Miriam White. 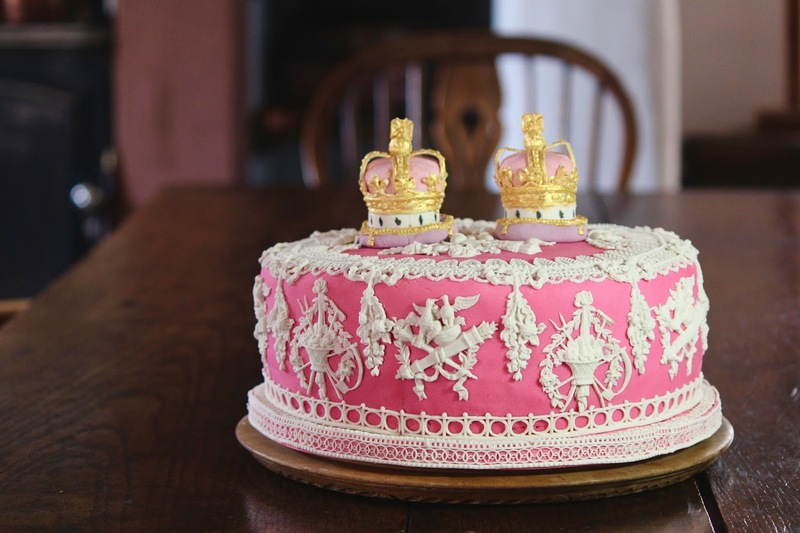 The Italian confectioner and ornament maker Gugliamo Jarrin, who had worked for Napoleon, arrived in London in 1816. In 1820, he published The Italian Confectioner, the most important work ever to appear in print on the extraordinary art of confectionery as practiced in the long eighteenth century. Nothing as detailed was ever published in Italian. Spongata or spongati, was a local speciality from Jarrin’s home town of Colorno, near Parma. 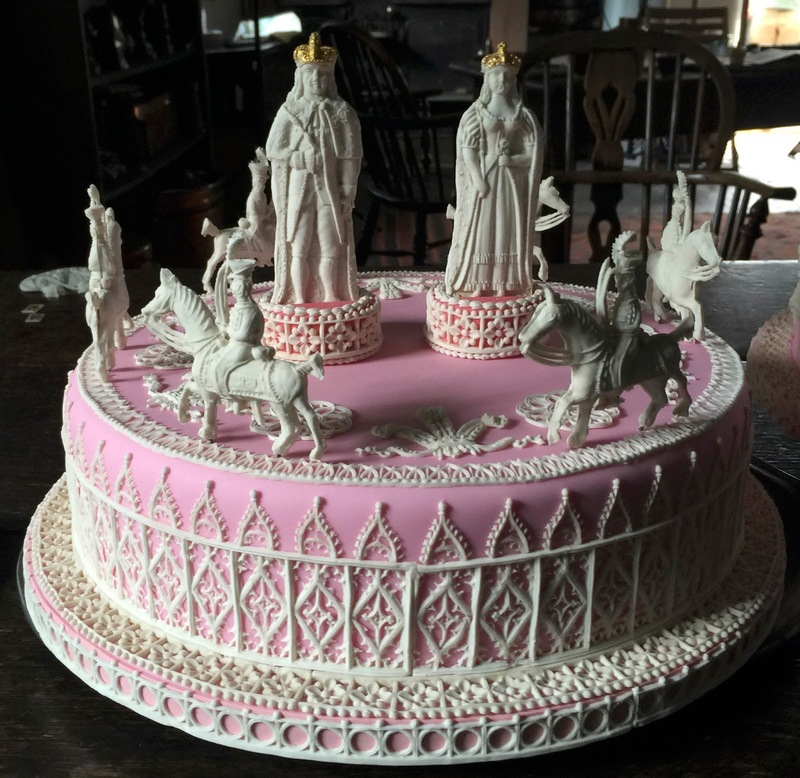 Local tradition claims it could be traced back to Roman times. Here is Jarrin's recipe, which of course he wrote in English. 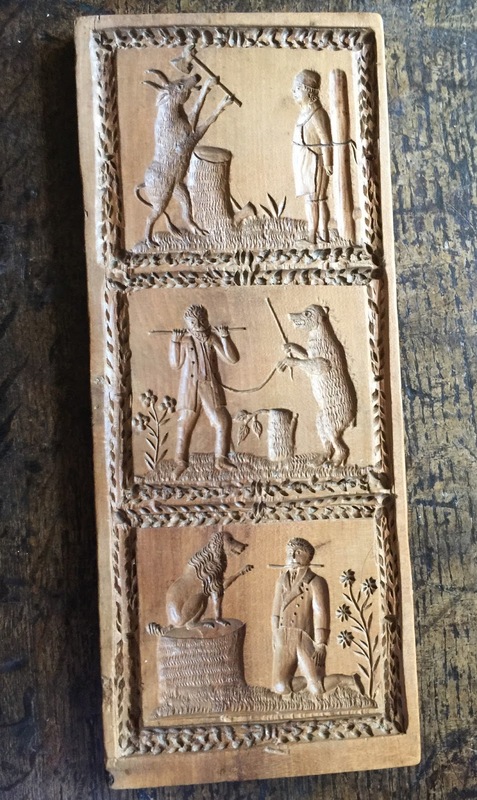 There is another post about it on this blog at Spongata. One pound six ounces of white bread, dried in the oven and reduced to a coarse powder; one pound four ounces of walnuts, blanched, and chopped very fine with a double handled knife; six. ounces of currants, well washed and cleaned; five ounces of wild pine kernels ; five pounds five ounces of virgin honey, clarified ; three grains of cinnamon in powder, one grain of cloves ; one grain of strong pepper ; and one grain of nutmeg in powder. The above articles must be mixed together, and en­closed in a crust paste, made of the following materials, viz., two pounds eight ounces of the best wheaten flour ; six ounces of fresh butter ; five ounces of loaf sugar, pounded; one ounce of olive oil, of Aix, in Provence, and half an ounce of salt, with a sufficient quantity of white wine to mix the whole. 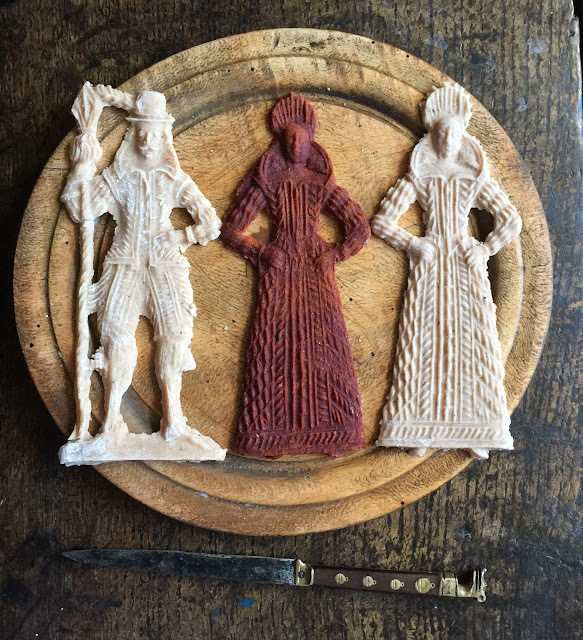 This paste, being of a moderate consistence, is to be formed into round cases or crusts, into which the first mixture is to be introduced, and a cover of the same paste must be put on, which must be pricked all over with the point of the knife. Let them stand for a whole day, put them in an oven, moderately heated, on plates dusted over with flour : these cakes should be an inch thick ; they may be iced or not, as you please. 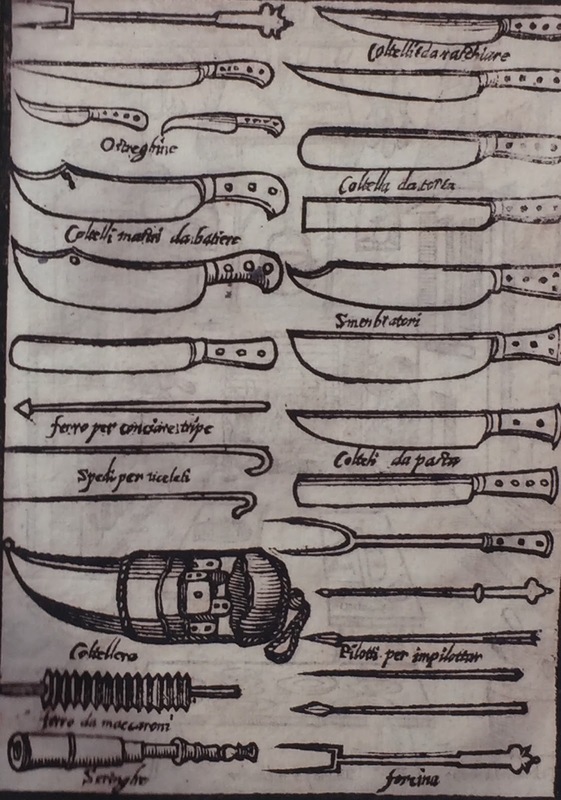 Apart from the last two recipes, which were both published in English, here are the translations of the French, Spanish and Italian recipes. Note. A French pint of this period is equivalent to a modern British quart. A French livre, or pound, was slightly heavier than a modern British lb – 1.07 lb. It is true that in this chapter it is my intention to cover fish dishes, and so I am dealing with trout, which by their nature may be eaten on days of abstinence from meat, but the method of preparing them described above is normally used on non-fasting days, and so this is something with which you cannot burden my conscience, for although I am a cook, I cannot allow you this pleasure, although it costs so little, because the pleasure and expense given by this poor cook are very much in conformity with Gospel teaching, as you will observe. Take endive, or scarola (another variety of endive or chicory), mince it finely and put it to one side, until you have prepared a large basin, at the bottom of which are eight, or ten biscottini, friselle, or taralli, soaked in water, and vinegar, with a little white salt; put the said chopped endive on top, intermix with other salad stuff, albeit minced finely, make the body of the said salad on top at your discretion, intermix with radishes cut into pieces lengthways, filling in the gaps in the said basin with the ingredients listed below, all arranged in order. Pinenuts four ounces, stoned olives six ounces, capers four ounces, one pomegranate, white and black grapes ten ounces, twelve anchovies, tarantello (salted belly of tuna) four ounces, botargo three ounces, comfits, six ounces, preserved citron (and) preserved pumpkin twelve ounces, four hard boiled eggs, whole pistachios four ounces, four ounces of raisins, other black olives six ounces. Caviar, four ounces, minced flesh of white fish, six ounces, little radishes, salt, oil, and vinegar to taste, garnish the plate with slices of citrons, and citron flowers round about in order, take heed not to add salt or seasonings, until it goes to the table, and is about to be eaten. From Antonio Latini, Lo Scalco Moderna. (Naples: 1694). 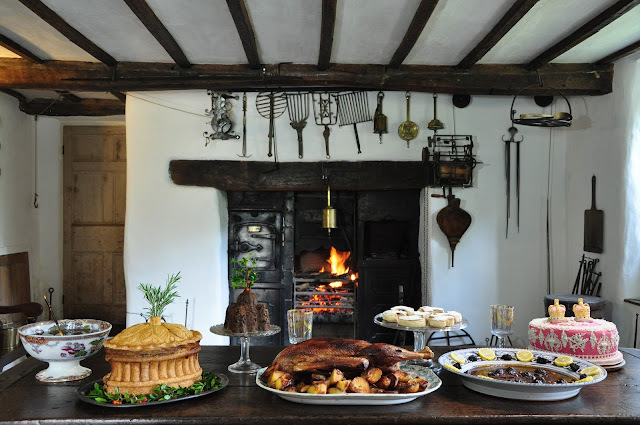 Look out for more events of this kind and some of my historic cookery courses at the The School of Artisan Food Website. There will be more! Jeremy Black, The Grand Tour in the Eighteenth Century. (London: 1992) p. 151.